We’ll publish a new blog post that will automatically go live at 6 PM CST today for Amateur Class registration. It will contain separate links to register for males and females. 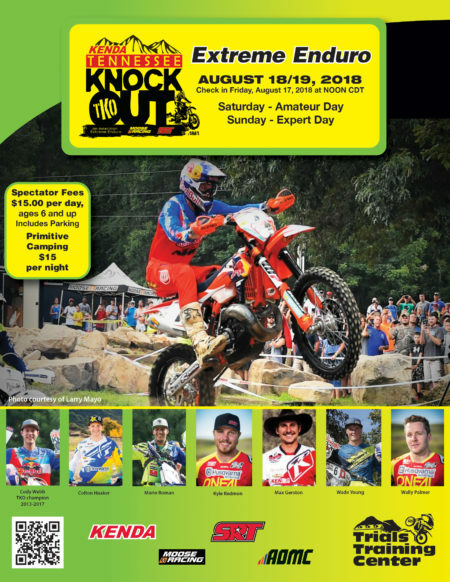 The Trials Training Center in Sequatchie, Tennessee will host the eighth annual Kenda Tennessee Knockout on the weekend of August 18-19, 2018. 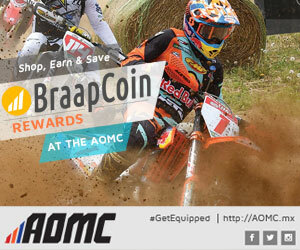 The TKO is recognized as one of the premier off-road motorcycle races in the United States, attracting some of the best racers from around the world. Cody Webb, arguably the best American Extreme Enduro racer, has been challenged by many of the best US and international riders and has still managed to take the TKO title five years in a row. 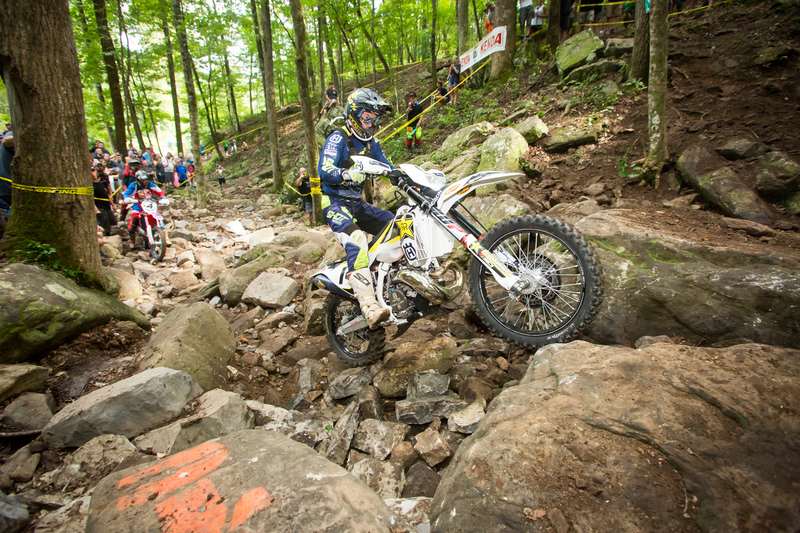 In 2017, the UK’s Graham Jarvis challenged Webb but had to settle for second. In 2016, South Africa’s Wade Young put up a good fight but he too finished second behind Webb. In 2015, it was the UK’s Jonny Walker that pushed Webb extremely hard but ultimately followed Webb to the finish. Spain’s Mario Roman, and top American’s like Taylor Robert and Kyle Redmond had joined Webb on the podium but have not been able to take him down. 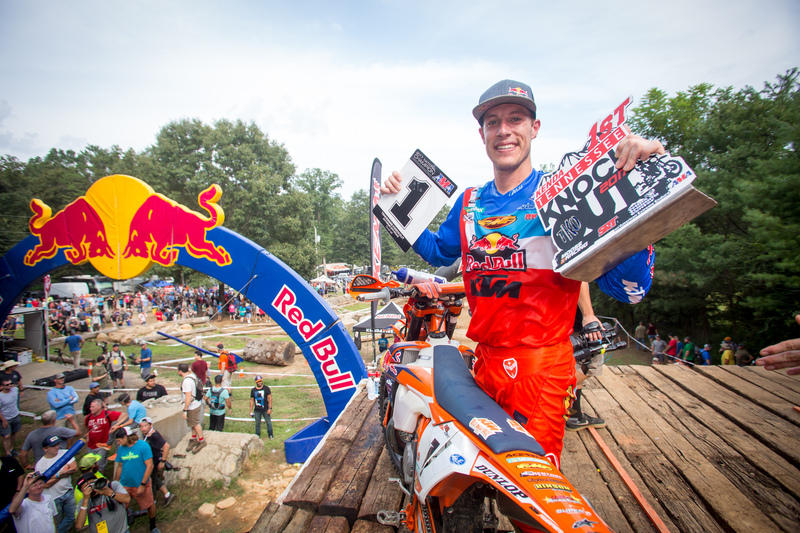 Webb will be back on his FMF KTM aiming for his sixth straight TKO win in 2018. Any rider that finished in the top 25 on Sunday at the 2017 TKO will be qualified directly into the 2018 TKO Sunday program. 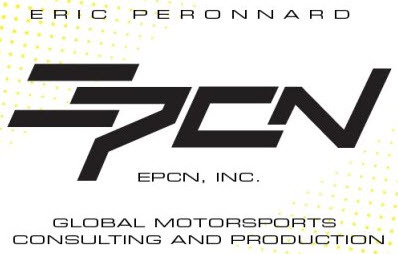 In addition, the top off-road riders from other major US and International racing series and events will be invited directly into the Sunday program. The Sunday format will again feature a multi-round Knockout format that is challenging for the riders and very spectator friendly. The expert riders will be competing for a $10,000 purse. Saturday will be open to the first 250 amateur entries. The top 30 finishers from Saturday will earn a spot in Sunday’s expert program. Amateur registration opens at 6:00 pm CST on Thursday, November 30, 2017. There are just 250 spots available and entries sold out in just a couple of hours for the 2017 event so please plan to get your entry in as soon as it opens. The registration link will be available here on the TKO website.